It is the rise from falling that Brown takes as her subject in Rising Strong. 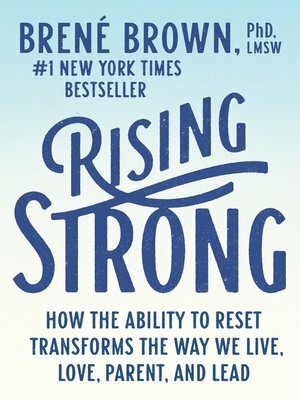 As a grounded theory researcher, Brown has listened as a range of people—from leaders in Fortune 500 companies and the military to artists, couples in long-term relationships, teachers, and parents—shared their stories of being brave, falling, and getting back up. She asked herself, What do these people with strong and loving relationships, leaders nurturing creativity, artists pushing innovation, and clergy walking with people through faith and mystery have in common? The answer was clear: They recognize the power of emotion and they're not afraid to lean in to discomfort.